Eternity is a premium celebration place and our vision is ‘To make life’s special moments unforgettable’. 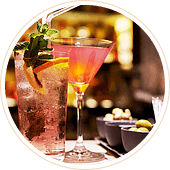 We have only 16 rooms and this gives us a wonderful opportunity to offer you personalised service at all times. Each room is equipped with the most modern amenities that the hospitality industry offers internationally. While the F&B menu has been crafted by renowned 5 star chefs, the celebration spaces have been designed by award winning architects and sound engineers. Attention to detail and a professional team is what makes Eternity a wonderful experience. We've only 16 rooms and this gives us a wonderful opportunity to offer you personalized service at all times. Each room is equipped with the most modern amenities that the hospitality industry offers internationally. The Eternity has two celebration spaces - The Terrafirma and The Milky Way. 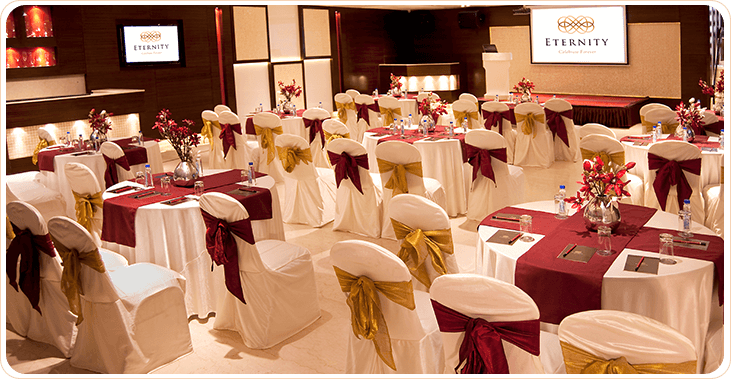 Celebration hall with a seating capacity of 90 guests. 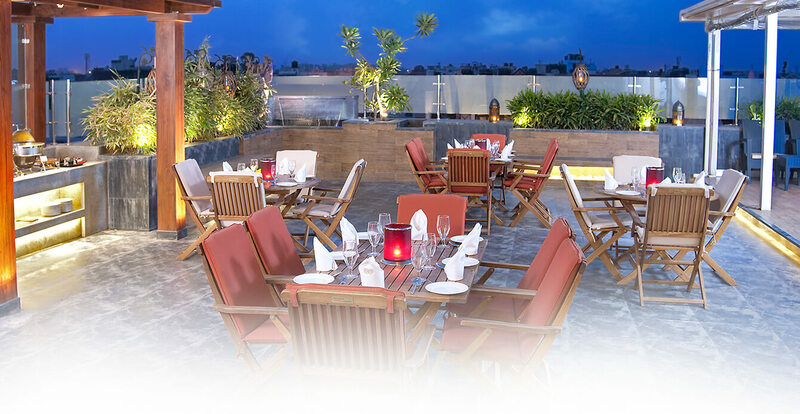 An ideal location for conferences, corporate meetings, family festivities, pre-marriage rituals, post marriage parties, get-togethers, birthday and anniversary celebrations. Theme parties for children make the venue a great place for fun and frolic. 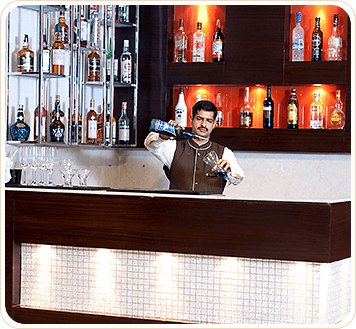 A well stocked bar with international labels, premium wines, exciting cocktails and a knowledgeable the bartender An ensures that the party spirit keeps the night young. 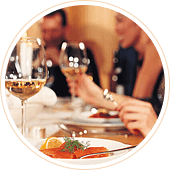 Our menu boasts of a variety of choices ranging from Indian, Oriental, Thai, Continental, Italian & Mexican cuisines. Crafted to perfection by 5 star chefs. 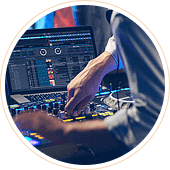 Equipped with a world class sound system, our young DJ spins tracks that you can groove to depending upon the occasion, mood and crowd to set the floor on fire. 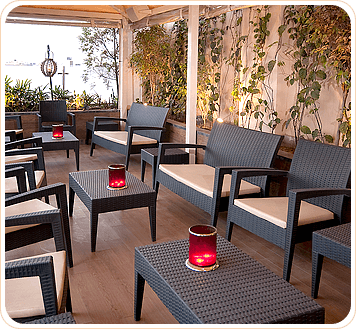 Perched at the roof-top offering a panoramic view of Rajouri Garden is a terrace garden that is an ideal evening party place which can easily accommodate 40 guests. It has a live barbeque counter, a cocktail bar and a weather proof acoustics systems that plays your favorite numbers. It also has an air-conditioned tent which can easily house 20 people. A giant projection system allows you to watch any televised event live ranging from a cricket match or the international news or any movie of your choice.